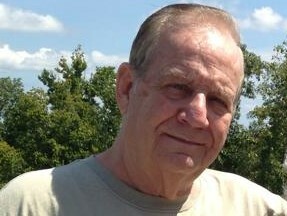 David A Norton, Scranton, died January 19 in Richmond, VA. His wife of 48 years is Fern Bidwell Norton. Born January 17, 1938 in Scranton he was the son of the late Crompton and Olive Kearney Norton. He had been employed for 25 years at Proctor and Gamble. David was a member of the St. Peter’s Lutheran Church, Scranton. He was a United States Air Force veteran serving our country for 12 years. Also surviving are his children Shirleen Norton, of Anniston, Alabama. Allen Norton and wife Heather Norton of Chester, VA; siblings Kathy Gerrity in Fleetville, PA and Arthur Kearney in Quakertown, PA.; grandchildren; nieces and nephews. He was preceded in death by brothers Bobby Norton and Darren Norton. A memorial service will be Saturday, February 10th , at 11am in St. Peter’s Lutheran Church, 1000 Taylor Ave., Scranton, with the Rev. David Searing officiating. Friends may call from 10 a.m. until the time of service. In lieu of flowers, the family requests memorial contributions be made to St. Peter’s Lutheran Church, 1000 Taylor Ave., Scranton, PA 18510. To share a memory or to leave your condolences for the family, please visit www.vanstonandjames.com. Previous Previous post: William L. James, Jr.
Fern, I was so sorry to read about Dave’s passing. He was a wonderful man. I’m sorry I will be out of town for his memorial service. My thoughts and prayers are with you.